The Commission’s recommendation on the establishment of a Women’s History Initiative at the Smithsonian becomes a reality! In November of 2016, the U.S. Congressional Commission on the study of a potential American Women’s History Museum in Washington, D.C. presented its final report to the President of the United States and the U.S. Congress. The full report is available online. In the report, the Commission concluded that women’s history is integral to the American story and the Smithsonian Institution is the natural place to honor women’s contributions to this country. The Commission also recommended that the first step should be creating the American Women’s History Initiative at the Smithsonian. We have good news to report—the Smithsonian has taken this critical step, launching the American Women’s History Initiative. Things are moving quickly. Already, the Smithsonian is hiring six new curators with expertise in women’s history, developing major exhibitions and public programs, publishing a landmark book and surveying its vast collection. Votes for Women: A Portrait of Persistence opens at the National Portrait Gallery March 2019. This groundbreaking exhibition will celebrate the 100th anniversary of American women’s suffrage. Smithsonian American Women’s History 100 will showcase the institution’s rich collection of art and artifacts that tell the story of women’s contributions to art, history, science, culture and education in a beautifully produced book to be published in Fall 2019. Girlhood (It’s Complicated) opens at the National Museum of American History June 2020 for an 18-month run before a 10-city tour across the country. This exhibition will explore that crucial time when young women become politically minded and realize the power of their own ideas. 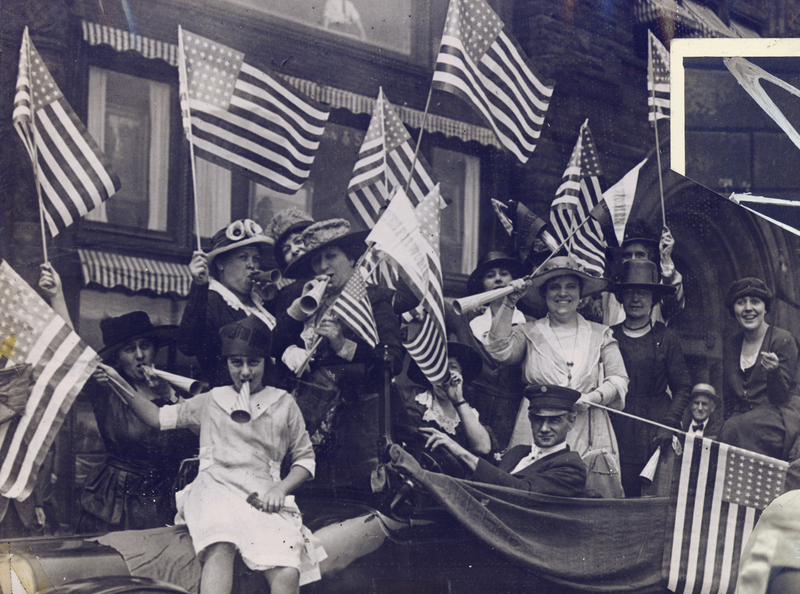 With so much to celebrate, including the 100th anniversary of American women’s right to vote, we want to keep you involved and informed. To ensure you’re hearing the latest announcements and updates on the Initiative, please sign up at https://womenshistory.si.edu/join-the-community.